Posted on 22, August 2016 by EuropaWire PR Editors | This entry was posted in Energy, Gas & Oil, Environment, Finland, Travel and tagged carbon footprint, EcoTravel, Neste, plan your vacation, sustainable travel concept. Bookmark the permalink. HELSINKI, 22-Aug-2016 — /EuropaWire/ — Many of us strive to make responsible choices in our everyday lives. Making choices that are more responsible hasn’t been as easy when it comes to traveling – up until now. Neste’s EcoTravel is a groundbreaking sustainable travel concept that enables you to plan your vacation with the smallest carbon footprint possible. Neste’s EcoTravel enables people to go on environmentally friendly vacation all around the world. Every trip that is booked through Neste’s EcoTravel service is powered by renewables from the moment you leave your house. Even the flights, and transportation to restaurants while on vacation, can be sustainably organized using renewable fuel. EcoTravel not only lowers transportation-related greenhouse emissions. Holidaymakers can choose to dine out in restaurants that offer sustainably produced food. Holiday activities that have a minimal environmental impact can also be searched and easily booked through the service. 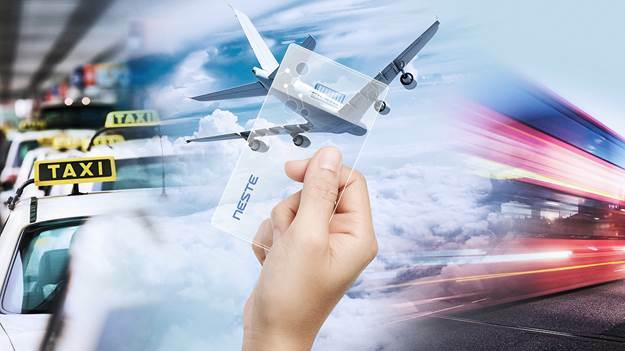 EcoTravel is a part of Neste’s innovation driven Pre-order the Future project that focuses on product and service ideas within five topics: public spaces, entertainment, travel, learning, and mobility. All concepts are currently under public vote on the project website. The winning concept will be announced in October 2016 and a real prototype of it developed shortly after. The Pre-order the Future project is all about discovering new ways of using renewable materials in the production of goods and services. It is also about sparking public conversation and encouraging people to take actions towards creating a better future.